MBARARA – Tension at Mbarara University of Science and Technology has continued to gain momentum as staffs under their association of MUSTASA (Mbarara University of Science and Technology Academic Staffs Association) expressed their dismay about the manner in which the process of replacing the new Vice-Chancellor is being handled. They accuse the current VC Prof Obua Celestine of trying to ring-fence the seat in order to retain himself through an automatic reappointment which staffs say cannot be allowed. It should be noted that the outgoing Vice-chancellor Prof Celestine Obua assumed office in October 2014 to serve a term of five years which is ending this year October. However, according to the legally prescribed process for setting up the search committee, the position of the VC and his deputies are supposed to be advertised for a calendar year and it hoped that new Vice-chancellor should be announced by mid-March 2019 six months before the expiry of current term office on October 24. Early this month a search committee was instituted to vet and select a new person to suit the position but the current VC has refused to advertise the position in the mainstream media which has rendered it useless according to some members of staffs. Highly placed sources in the university have intimated to us that whoever shows interest in vying for any position in the administration is asked to the first table in a resignation letter as if that is not enough one is threatened with suspension letters. 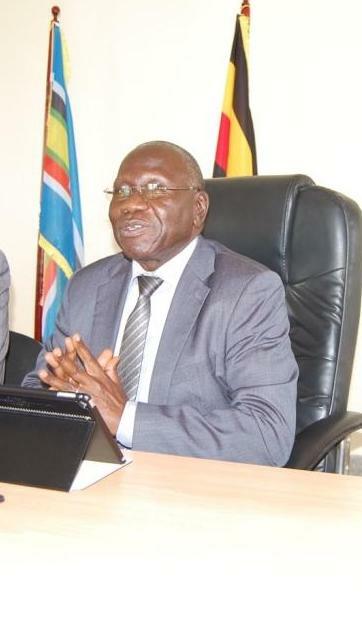 “MUST’s top management has done a big role in creating tension and fear among the staffs, when Obua came in 2014, a lot of cliques were created, those who were pro- Prof. Fredrick Kayanja the founding Vice chancellor who was replaced by Obua were sidelined and actually some were forced to leave the university the likes of Prof Pamela Mbabazi who was the deputy vice-chancellor then, Obua created his team and centred all the powers into his office which we think has retarded development.” A source who preferred conditions of anonymity revealed. While in the general assembly last week, Dr. Gad Ndaruhutse Ruzaaza one of the lecturers at MUST highlighted that MUST has had challenges in administration since Prof. Obua. “What is affecting MUST is the problem of administration and if this is not solved some of us we shall regret in future for having associated with this good institution, a lot of rumors is circulating in the university but am not here to discuss rumors, if these people were here they would have listened to us but they chose to dodge deliberately” Dr. Ndaruhutse stated. Due to the sensitivity of the matter members in the meeting who refused us to mention their identities argued that due diligence should be made and all the stake holders in various constituencies in the university should have an input in getting this high position in the university. “We no longer want to have foreigners to come and destabilize our university, we have our professors who suit to be in that office, like in Makerere University to appointed in such office you have to come from within the institution not getting outsiders, these are the issues we want to table before the search committee. Another member said. They added in the meeting that if the search committee fails to consult them, they will reject whoever candidate goes through the process. Before assuming office at MUST, Prof Obua was the deputy Principal Makerere University college of Health sciences. Sources from the university have further intimated to us that so far some staffs who attended the general assembly last week have been threatened with suspension letters. Dr. Emenyu John the chairperson MUSTASA in an exclusive interview on the state of staffs at MUST confirmed that before the meeting they sent a message inviting all staffs including the VC and his deputies. 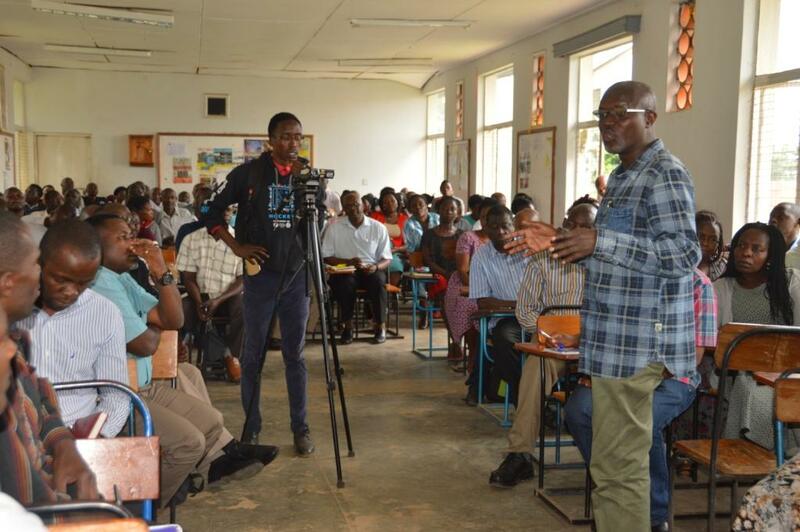 “We invited them but may be didn’t take our invitation seriously because they are supposed to attend so whether they have dodged or not it should be them to explain why they have shunned” Said Emenyu. On the threats and victimization of staffs, Emenyu urged staffs to stand firm against any oppression and know their rights. “Once you know your rights you can fight back as the association we offer protection when discover that such thing is happening. we have had this experience in the past where one of our staffs was being harassed but we managed to resolve the matter amicably. It should be noted that last year November one of the whistle browers in the University petitioned the first lady Janet Museveni who is the minister for education and sports and put well the challenges that the university is facing among many was poor leadership. “It is not a secret any more that vast sections of staff have disengaged and the university is suffering the risk of sliding into the state of reputational damage that will place it to on an existential threat trajectory, Mama Janet the last four years of the current VC have seen the university slide into an institution whose management is for personal gain. We are wounded to report that Prof Obua has broken down all deliberative processes in the university and reduced its authoritative bodies like Senate, council and top management to a farce” Part of the anonymous petition reads. Another anonymous letter dated 17th October 2018 was addressed to the office of the IGG calling for investigations into activities at MUST in a view of potential fraud and widespread mismanagement. The issues raised the were questionable appointment of the university secretary, Transfer of projects from grants back to faculty administration and change of signatories to grants bank accounts.